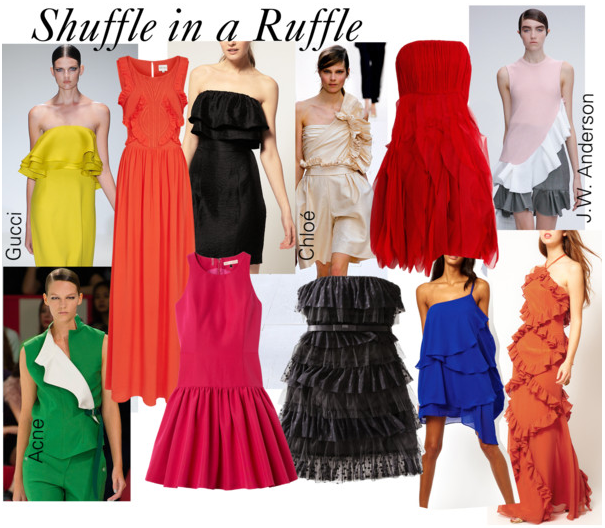 Ruffle your way to the dance floor. If there was a ever an excuse to wear ruffles, prom night would be it. Wearing dresses you can’t move in and aren’t a bit memorable defeats the purpose of going the extra chic mile for your prom outfit. In this case a small amount of ruffles can go a long way. The daring ones have the most fun. The prom is the perfect place to test the fashion waters and step out in something most other wouldn’t consider wearing, jumpsuits. The one-piece that you can dress up with tons of jewelry or have the jumpsuit itself be your only piece of jewelry! R/H Rides Off Into The Fashionable Jungle.